Best Value 300ml Essiac Tincture- delivers a Superior Extraction Of Active Ingredients as its a tincture the strength never varies and it has a very long shelf life. One bottle allows enough tincture for up to 60 days for a recommended 5ml (one teaspoonful) each day).just add to 40ml's of water or juice. May be taken twice daily in severe cases. This amazing super-food is actually a type of bacteria that flourishes in tropical and subtropical lakes with a high pH. For this reason alone, you want to make sure that the source of Spirulina is from clean, unpolluted waters. Spirulina was used as a food source as far back as the Aztec civilizations and to this day it is consumed as a high protein meal for many nations. 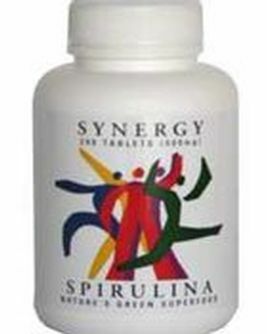 Spirulina is superior to plant proteins in that it is about 60% protein and is a complete protein. The fat content of Spirulina is loaded with the healthy fats like GLA , EPA, DHA and ALA, which are important Omega 3’s. It is a super source of B vitamins, minerals and many beneficial pigments like beta carotene and chlorophyll. Stimulates Natural Killer Cells and prevents cancer cells from growing. Why not experience one of the best quality EssiacTinctures in the world, organically grown in Ireland. Essiac Tincture has many advantages over tea infusion, it can deliver a stronger more natural complete herbal extraction, that generates a superior concentrated product and can be blended bespoke to meet your taste with fruit juice or water. So in summary experience "The real McCoy" a more potent extraction and forget the hassle Free of infusing and boiling with Essiac teas, that usually result in a weaker inferior end product with an inferior therapeutic delivery. The original formula as perfected through clinical studies during many years of dedication and supported through clinical studies with Renie Caisse lifetime partner in research Dr. Charles Brusch, who became President John F. Kennedy personal physician. This perfected original 5 herbal Essiac tonic has been said to fortify the body's defences effectively to strengthen the body for cellular renewal in order to revitalise health by removing stagnant waste and toxins. Essiac tincture effectively delivers essentially a mixture of roots, bark used globally as a health tonic and anticancer treatment, and it’s also used to treat gastrointestinal disease, AIDS and diabetes. Usually practitioners suggest taking the Essiac solution to protect, maintain, and in preventing future recurrence of historic problems. The standard dose for maintenance: 5ml daily dose during the first week, then increase: (2.5ml or half a teaspoonful) each day during the second week, and a half dose every second day thereafter. TIP: Alcohol in the tincture can be removed with a little amount of boiling or alternatively a limited amount of water can be added to the tincture dose to remove the alcohol. another advantage with tincture is that it more stronger than infusions but it can be diluted with cold water / juice to taste. History of the 5 Essiac formula? The famous Rene Caisee a nurse from Canada created the name 'Essiac' very simply by spelling her surname in reverse. this natural formula authentically originates from an old Indian herbal blend from a patient in 1922. Using the Essiac formula her aunt amazed physicians of her time and survived from stomach cancer which was apparently inoperable, with amazing success. Nurse Rene during a professional life time of healing the sick treated thousands of patients successfully with cancer. Renes conducted numerous trials and were carried out assisted by open minded doctors, winning over many sceptics of the time. Nurse renes life's work was made near impossible by the Canadian authorities. in the end Rene Caisse decided the only way was to give this trusted formula away so that it could be used to this day worldwide which consisted of Sheep Sorrel, Burdock and the reknowned demulcent herb Bark of Slippery Elm togethee with Turkey Red Rhubarb. I was told I had only weeks to live, when I got home I was told to get Zota Essiac by a friend, my mum got it for me and I have been taking it ever since. I am now in good health and have never looked back, I am on no other medicines .My name is Jim Murrin from Offaly in Ireland.. I never gave up taking the Zota and enjoy life to the full In 1996 I was diagnosed with cancer in all the organs in my body, I had 2 operation but the doctors said there was nothing that could be done. My Wife Maureen age 78 was diagnosed with Breast Cancer with secondary tumours in her left eye,lungs and stomach in Feb 2009. We were told an operation was not an option. She has since been taking a 2.5 mg daily dose of Letrozole. The Hospital advised that this would basically put the tumours to sleep for a while, then once her body became used to this drug and the tumours began to change or grow again, alternative treatments ie Chemotherapy would be needed. Whilst chatting to a golfing partner about Maureen’s condition he told me about Essiac Tincture. She began taking this around March/April 2009. Scans taken in July 2010 the tumours had shrunk ! or in the case of her breast lungs and eyes had virtually gone. weeks travelling around Spain and apart from the obvioius signs of old age she feels absolutely fantastic. I now have my own testimonial to add. Note: Some patients may experience nausea if they have eaten or drank tea or coffee a short time prior to taking this formula- fasting can usually prevent this up 2 hours before each daily dose. However, this isnot mandatory. Remember: The contents of this site are for information purposes only. and before making any change to prescribed medication.